The facility is clean, well landscaped and secure. The rooms, common areas, and dining room were clean and well maintained. All of the residence that I meet or have seen were active, looked well cared for and happy. The staff is friendly, helpful and caring. My mom has been in residence at Rose Garden for only a short period and is the second facility she has been placed. Her experience at Rose Garden to date has been just short of amazing, she is eating well, interacting with other residents and staff. Overall I would recommend Rose Garden to any family that had to make that difficult decision in parent placement and care. Having been through this before with other family members my experience in working with the staff at Rose Gardens was easy, I was well informed, and was walked through the entire process of placement and individualized care at my pace. They’re very friendly, very concerned, they know my wife quite well and they take good care of the other people too. They have quite a few activities, sometimes I’m not there when they have them but Sundays is a church service, they have exercises, card games, mind memory type games, they have music and television for those that can follow along. They’re trying to keep her active and overall I think they do the best they can for someone in her condition. 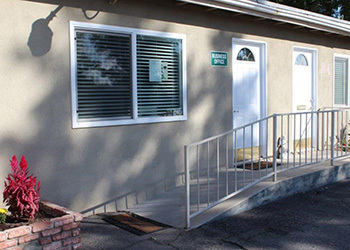 I gave it quite a bit of thought because I had surgery coming up and I knew I wasn’t going to be able to provide the kind of care I was giving her at home and I needed to find a facility I was comfortable with and Rose Garden seemed to fit my needs. I vary the times that I visit her so I can see overall how they’ve taken care of her and I’ve seen no discrepancies with the care they give her. It was a really nice community and the staff was really nice and helpful. It is a bigger community and the apartments are grouped together. They have a huge dining area in the middle of the complex. The rooms were nice and they really cared about the residents. I want to thank you for your dedication and diligence. We spent enough time getting to know the staff and feel confident that this is the right place. They are professional and caring individuals, and it is a nice facility with lots to do if the residents so desire. My loved one has had a couple of incidents since they have been there. When we go, they are very accommodating, and he loves it there. When we found it we absolutely fell in love with it. They are good about giving us a call if anything comes up. Thank you so much for all you’ve done to help me. It means so much to me to have had the pleasure of working with someone that has so much compassion and empathy for my situation.